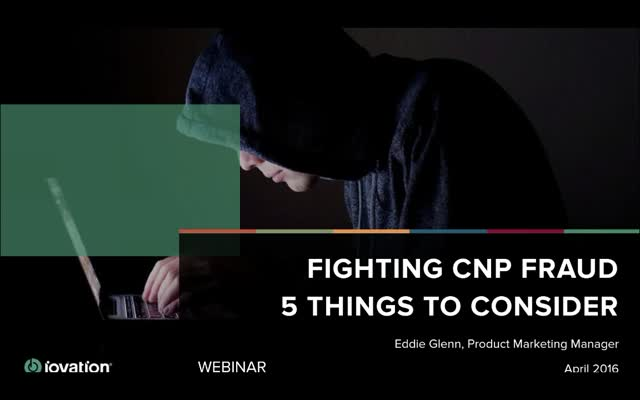 With the rise of online and mobile transactions, device fingerprinting is a known effective tool in fighting CNP fraud over the past decade. Today’s retailers need to consider how they can utilize the information within the device fingerprint to help detect fraud before a transaction occurs. iovation hosted webinar: In January, PwC’s The Global State of Information Security declared its top 8 goals for 2016. Among these it asserted CISOs need to focus on “Replacing passwords with advanced authentication.” With terms like advanced authentication being thrown into a mix that already includes adaptive, contextual, behavioral, risk-based, multifactor and dozens more, it’s easy to give up and let confusion reign over the authentication space. And the idea of replacing passwords altogether? Is that even possible? In this on demand webinar, iovation’s Michael Thelander will clarify the authentication landscape and make sense of a rapidly evolving field that brings together the needs of both information security and fraud prevention teams. The enterprise-computing environment is rapidly transitioning to support an increasing demand for unmanaged mobile devices, remote workers, partners, and vendors to easily access corporate resources. With resources distributed in "the cloud,” traditional enterprise authentication methods are not effective for unmanaged devices, and passwords alone are insufficient as a security access control. Has this device already been explicitly authorized for this account on a previous visit? Has this device been associated with cyber criminal activity or linked to other devices or users that have been? Is this device exhibiting anomalous behavior or other risk indicators that suggest the use of evasion techniques or existence of malware? Learn how to implement strong 2-factor authentication methods without giving your employees, partners, and vendors a poor user experience. Register today for this 45-minute webinar!